San Antonio Therapist: Betsabe Rubio - Therapist 78229. Send A Message To Betsabe. 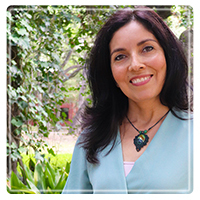 Betsabe Rubio is a Licensed Marriage and Family Therapist and Licensed Professional Counselor. She completed her Master’s degree in Marriage and Family Therapy from St. Mary’s University and is currently completing her PhD. Betsabe has a broad range of experience from working with survivors of domestic violence and sexual abuse to more recently helping couples, families and individuals gain the tools to achieve the changes they desire. Betsabe’s therapeutic approach takes into account the important role you as the client play in your success and bring in her professional expertise gained over the years. The results is a cooperative approach between the client and the therapist where the client can own and be proud of the success achieved. Betsabe has specialized training in Neurofeedback which can help alleviate problems such as stress, depression and anxiety, among others. In the area of Marriage and Family Therapy Betsabe works towards helping couples achieve better communication, restoring trust, overcoming infidelity and intimacy issues, to name only a few. Betsabe is fully bilingual Spanish/English and has a lot of experience working with Spanish speaking clients. Por favor no dude en contactarme para obtener más información en Español. Please contact Betsabe to discuss your needs and how we can work together towards achieving healing.